ORDINARY MOMMY DESIGN: Pirate Owl Now in the Shop. 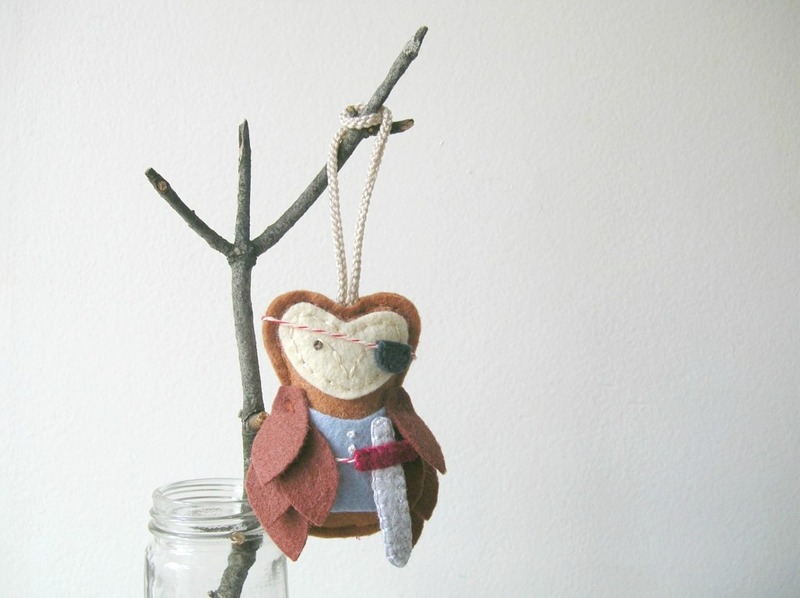 Pirate Owl Now in the Shop. This adventuresome owl is now available in the shop! His eye patch and sword tie on with baker's twine, and can easily be removed for those times when he simply feels like being an ordinary owl in a t-shirt. Pirate owls make the perfect addition to a nautical or adventure themed room. He especially loves sea-faring tales, so hang him nearby when you read to your little one at night. Here is a challenge... Will this little pirate have a ninja-owl counterpart? ^_- That would be an interesting combo.